For along time now Website builders, Website designers and SEO professionals have been challenged by trying to manage online payment collections from their clients. Sometimes language barriers create issues around payment. People prefer e-Commerce experiences in their native language. It instils comfort that you can’t get when you’re using Google Translate to make a purchase! And what about meeting customers expectations about how they want to pay? Close to 60% of customers will abandon a transaction if their preferred payment method isn’t in place. All this put's enormous strain on a professional industry that really wants to put time and energy into servicing it's clients on building websites, designing better ones and doing SEO. Billing problems can effect cash flow and even customer acquisition. The good news is that Exai has recently come out with Billing and online Payment functionality that adds to it's integrated CRM for the Web Building and Design profession industry. One important consideration for web designers and website agencies is the ability to provide subscription billing to their clients.The main benefit of recurring billing for consumers is convenience. A subscription model does not have to lock customers with contracts. As a result, this can increase sales as users know they do not have to pay for the service for months that they may not need it. Recurring billing also allows web design companies and Web Buiders to forecast future revenue patterns more accurately based on the number of customers that they have, the services they are using, subscription period, etc. The model also leads to a better distributed cash flow and more accurate stats on usage and payments. With Exai's CMS you can confidently have an entire END-To-END solution for managing your clients websites;from site building and maintenance to billing and payment. 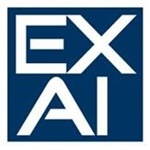 Another key benefit to using Exai is the ability for you to expand internationally. Web Builders and Web Site Designers are increasingly taking interest in expanding beyond their domestic markets and sell cross-border. With this expansion, comes a need for using Exai's cross-border eCommerce solution. Making your cross-border shoppers feel welcome so you maximize your conversion rates is a key consideration. Language options and access to local payment methods are available on Exai's platform making communication and service something that is prioritized. Get in touch with us if you'de like to hear more or just visit CENTRALIZED BILLING FOR PARTNERS to see how our CRM and Billing functionality can help you manage all your websites in one place.